Welcome to Piano Central Studios. To register, complete your information below and click SUBMIT when finished. Please note that credit cards are NOT charged at this time. All enrollments are considered pending until we have reviewed and confirmed your registration. We look forward to having you in our program and a part of our PCS family! BJA, CCES, or HPCS Classroom teacher? I release any and all rights and claims for damages against Piano Central Studios and its Staff in the unlikely event of injury sustained by myself or my child(ren) during the course of or as a result of this musical activity. PCS offers a hassle-free automated payment system. Tuition is automatically charged on the 1st of each month, and a receipt is immediately emailed to you. Due to processing costs, there is a $20 fee for insufficient funds or late payments. A non-refundable registration fee* will be charged at the time of enrollment for new students. After that, an annual registration fee will be charged in September of each year. *Except where noted, Kindermusik monthly tuition fees are all-inclusive; there is no additional registration fee. 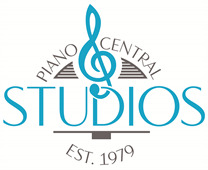 Piano Central Studios (PCS) reserves the right to use any photograph/video taken at our teaching locations or at any event sponsored by PCS. Any parent or student who does not wish to have their image recorded or photographed should make their wishes known in writing to the Director of PCS, Theresa Case, at Theresa@PianoCentralStudios.com.